Island Surfboard Rentals is Maui's premiere Surfboard and Stand Up Paddle Board (SUP) rental service, offering a wide range of premium surfboards and paddle boards. The best part? They offer FREE delivery & pick-up of the rental gear right at your door. Plus, their friendly and highly-experienced waterman team is committed to providing you the highest quality of service and the best customer experience. Why Rent From Island Surfboard Rentals? Island Surfboard Rentals' goal is your complete satisfaction with their services and for you to have a great time! Renting from Island Surfboard Rentals saves you the hassle of driving around looking for surfboard and paddle board rentals. Don't worry about transporting the gear, returning your equipment on time, or chasing down deals on hourly rates that often exceed Island Surfboard Rentals' daily rates. Island Surfboard Rentals delivers boards right to your door! 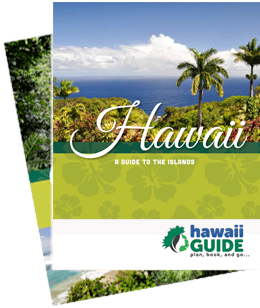 They will meet you in person and provide you with valuable information such as safety instructions, guidance and boarding tips, locations of the best local beaches, and even other Maui activities to round out your vacation. Where Does Island Surfboard Rentals Deliver? Island Surfboard Rentals makes renting stand up paddle boards simple, so you and your friends and family can glide peacefully, get a great workout, and enjoy Maui's breathtaking scenery, all without the hassles of many board rental companies. And the best part about stand up paddle boarding? It's easy! If you can swim and can stand up... you can SUP! Island Surfboard Rentals offer a wide variety of stand up paddle boards (SUPs) for every experience level. They come in different shapes and sizes, and finding the right board is key to having a successful and pleasant experience on the water. If you are NEW to paddle boarding... no worries, as it is safe and fun for the whole family. The team from Island Surfboard Rentals will provide you with a free lesson by teaching you the basics of the sport and keeping your safety in mind. RENT your Stand Up Paddle Board TODAY! Reserve before you get to Maui to ensure availability! Whether you are new to surfing, a seasonal rider, or anything in between, Island Surfboard Rentals has the right rental board for you. Maui has great surfing conditions throughout the year and the island's wide variety of beaches offer up the perfect waves for all experience levels. The Island Surfboard Rental team is highly knowledgeable and can direct you to Maui's best surf spots. Plus, they always have up-to-the-minute weather forecasts and surfing conditions to help make your adventure safe and fun. RENT your Surfboard TODAY! Reserve before you get to Maui to ensure availability! This content is sponsored by Island Surfboard Rentals. Guide of US is a travel destination media and marketing company that receives compensation from companies or organizations whose products or services are promoted on this site. We review and evaluate the services of each company to ensure they meet our highest quality standards for travelers. We are independently owned and any opinions expressed herein are our own.